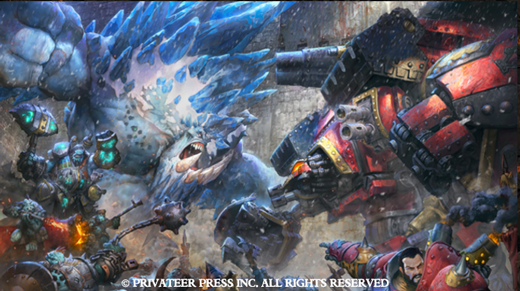 It's not just the rules for Warmachine and Hordes that are getting an update. Privateer Press is also updating their organized play rules sets as well. Whether you're a seasoned veteran looking to try your skills against other veterans, or you're taking the new edition as a chance to learn the game (or even just a new faction), there's organized play events for you. For those veteran players, there's the Steamroller events. For new players, there's the Journeyman events. And then, for gamers like me who prefer something a bit more laid-back and casual, there's the Full Steam event. So there's a little something for everyone. All of those documents are posted online so you can check them out and be ready for whenever your LGS has one scheduled.